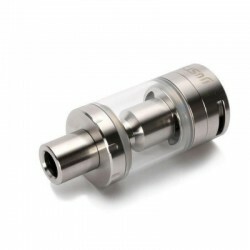 Direct to Lung tanks are generally referred to as 'Sub-ohm' as they employ lower ohm atomizers coils. There are two main ways to vape: 1) Into your mouth and then your lungs (Mouth to Lung), or 2) Directly in to your mouth (DL - Direct to Lung). These are the latter. They use more juice, and match lower nicotine ejuices (3mg/ 6mg). Sub Ohm (DTL) There are 4 products. 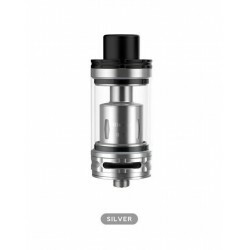 Geekvape Illusion Sub Ohm Tank The Geekvape illusion tank runs up to 260W. This cloud monster is said to have no leaking issues. 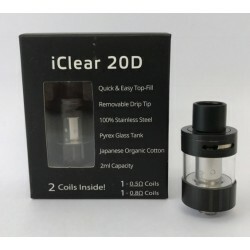 Innokin iClear 20D Tank A small but powerful tank with Top Airflow. 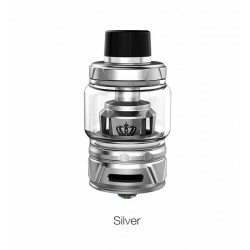 Eleaf iJust S Sub-ohm Vape Tank A very simple, effective sub-ohm tank with convenient top-fill. Works very well - we recommend.